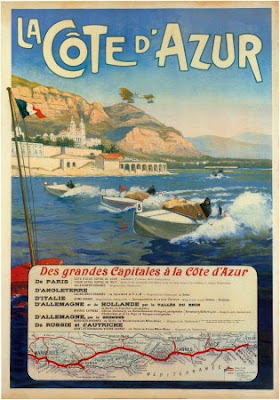 Tomorrow we're off for the city of love and electro, Paris. We're about to gig on a really cool mini-festival named "Glaznost - Festival Shamrock". 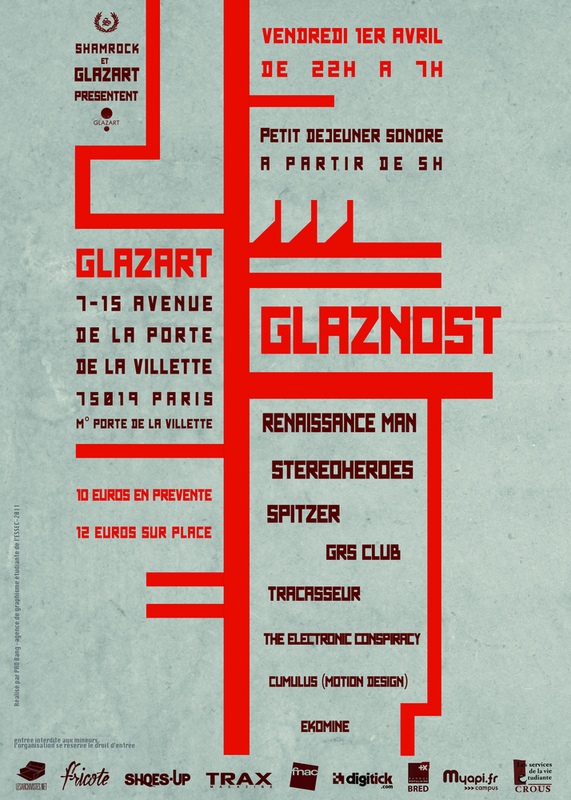 The happening takes place on Friday at Glazart (map here) from 10 PM and don't stop until 7 AM in the morning. It's gonna be a huge night! We will share stage with fine acts like Stereoheroes (FR), Renaissance Man (FI) and Spitzer (FR). So there will be live shows, dj-sets and visuals, and it shouldn't be something that you will miss out on, especially if you live in Paris. 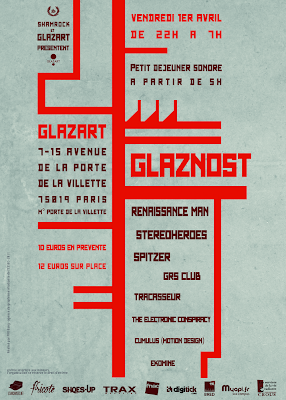 All our friends of Paris, we hope to meet you at Glazart. 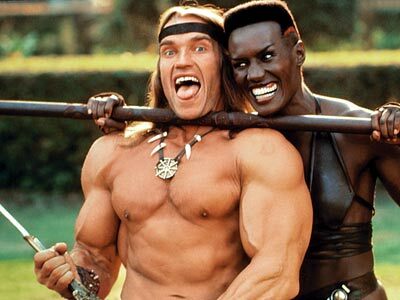 We promise to make you dance your guts out and we promise to bring a bunch of Swedish friends to the party. Join us in Paris for love and electro! 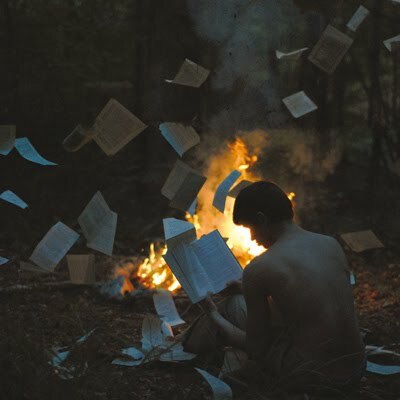 Ohh, what can I say, the upcoming release "The Newsroom" on Brilliantine from the fantastic Swedish duo of Montauk is absolutely brilliance. It's for real, perfection within everything. It's smart, melodic, catchy, sweet, tasty, danceable and absolute fantastic. The most solid release this year without a doubt. But all of you will unfortunately have to wait until the release date of April 11. Shortly after a limited pressing of 500 vinyl records with full-color artwork will appear. Montauk's first full EP is a masterpiece! And here is the first track "Eye-contact" from the EP to give you a taste of what to expect. We actually heard it live the other day when Montauk performed it live on the premiere of our club Virgin Ears, it was pure magic. Book April 11 right now! 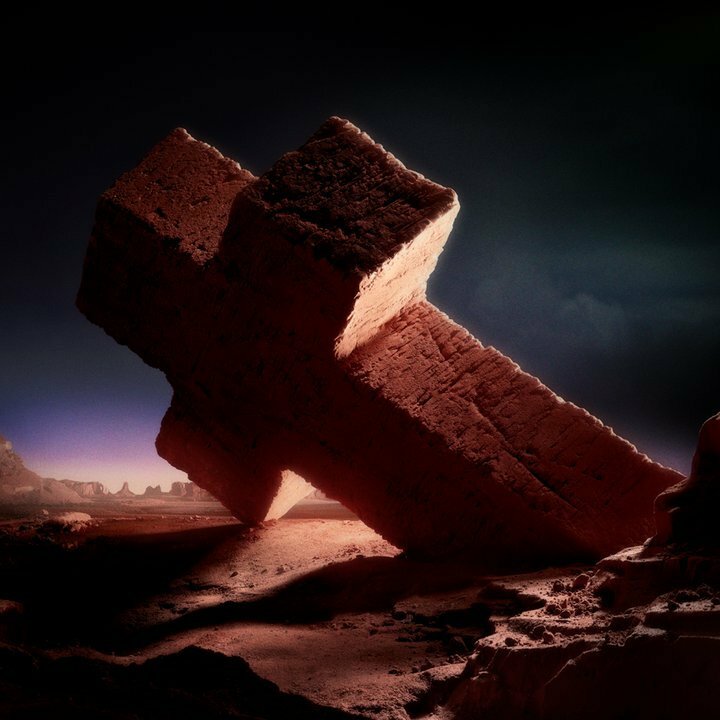 Like one out of one million blogs to write about the new Justice track today, but what the heck. It's the new single from Justice and it's included in a new Adidas commercial. We also hand along a remix from Q.G. Enjoy Justice! We are the first blog in the world to show this new video from our favourite Swedish nu italo duo DW. The video is made by SektorFilm, a Stockholm-based duo that has made videos for Dmitry Fyodorov amongst others. "Nine Lives" is a longed track from DW, it's their first single from their upcoming debut EP "Pink Shades". The EP will be released on vinyl later this spring. Enjoy! 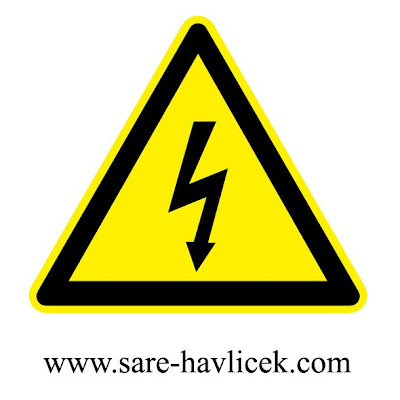 Our favourite Slovenian deep disco DJ Sare Havlicek sent over this mixtape yesterday. It's the first in a series of "High Voltage" mixtapes which aim to capture the vibe in the disco at the climax of the night when the feelings are high. The first mix is very 2010/2011 but the next ones will include some rare disco gems like some original 80s Slovenian and ex-Yugoslavian disco tracks, Sare's exclusive edits of "unexpected" tracks in disco disguise et cetera. The mix include some intense disco, and we're already looking forward to the coming mixes! The band consist of Frank, the seasoned rock musician, Jeff (ex-INTL), the singer-songwriter with the pop sensibilities, Will, the artist with the visual prowess, and John (aka Johnatron), the electro producer and blogger (Disco Workout). They make lovely Dreamwave but infuse it with indie and electropop. In short they sound more like a proper band than just another product of a teenager with a laptop (not that there's anything wrong with that). I'd like to see them live - I can imagine they put on a show - so I hope Frank will be able to sow together that European tour. 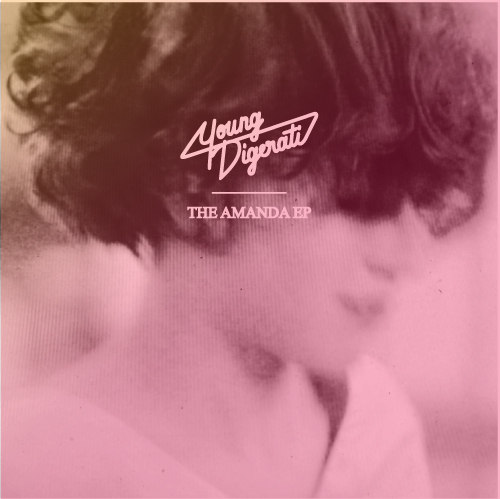 "The Amanda EP" (which to confuse is comprised of five versions of the song "The Dauphin") includes remixes by Boston's Good Morning Good Night (GMGN) (Mozzarella Records), Ride The Universe (Fiero/Digitalfoxgolove as you all know), Aussies Muffin and newcomers Whorer House from Modesto, and it was released last Monday. The original and the RTU remix have been favourites for a while though, as is the next single called "Aquiel". That will be released April 18 and include remixes from StardonE, Mitch Murder, Flashworx and Johnatron. Fan Young Digerati on Facebook! 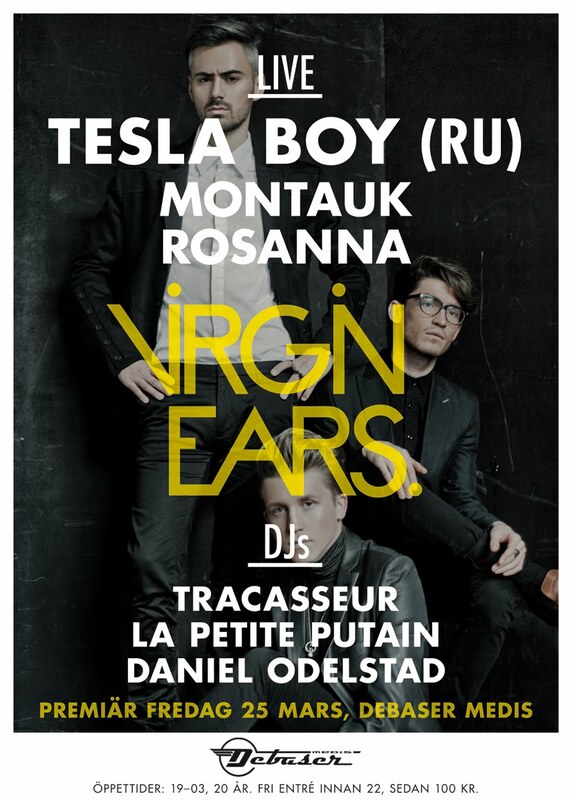 We're mighty proud with our new club Virgin Ears that will open this Friday, March 25 at Debaser Medis in Stockholm. One of the things that make us real proud, is our line-up of live-acts that will perform during the night. 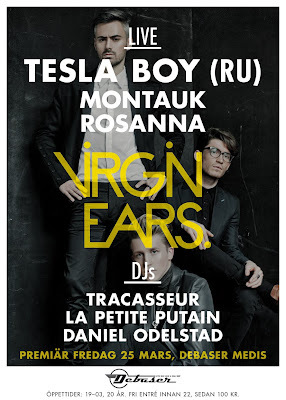 We have flown in our Russian faves and friends Tesla Boy for their first live show in Sweden ever. That will be an awesome thing on Friday, be ready at 23.15 for something extra. Besides Tesla Boy we're proud to announce fine Swedish girl Rosanna feat. Rocket Boy. And the rumour says that she will perform a bunch of new tracks and that make us excited. 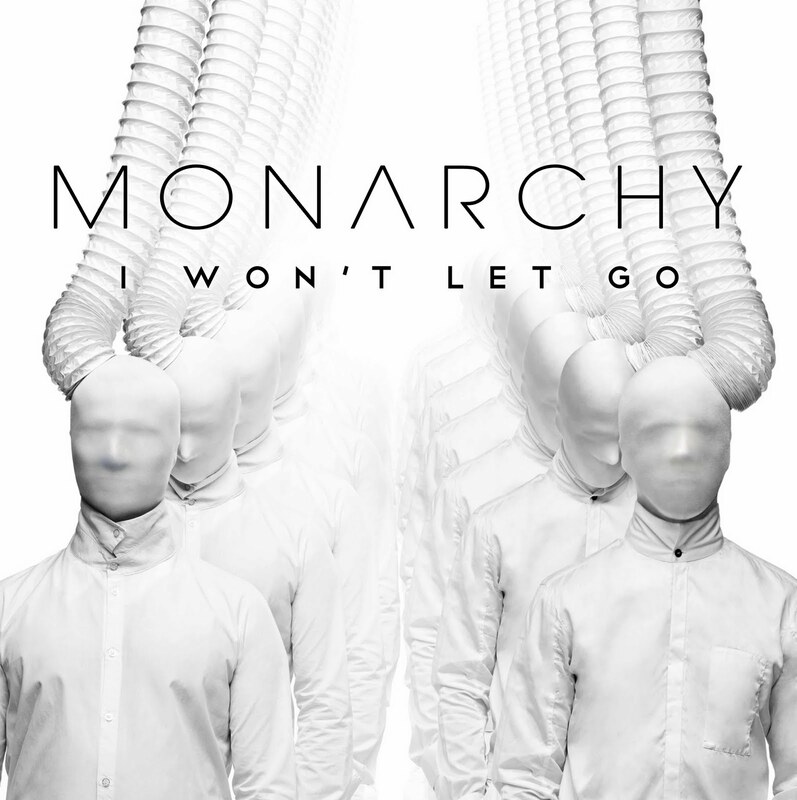 And then we have the fantastic luxury pop duo Montauk, who have had a great year. Now they will perform a live show again, it was a while ago, extra excitement for that because they chose to do it on the premiere of Virgin Ears. If you live in Stockholm and like what Tracasseur have done for you with new music and dj-sets, you couldn't miss out on this premiere on Friday. We promise that this is going to be a remembered night filled with a lot of fun! As a tribute to Tesla Boy and their arrival in Stockholm we've made this tribute mixtape, only including tracks or remixes of or with Tesla Boy. Awesome new track from Tyson. 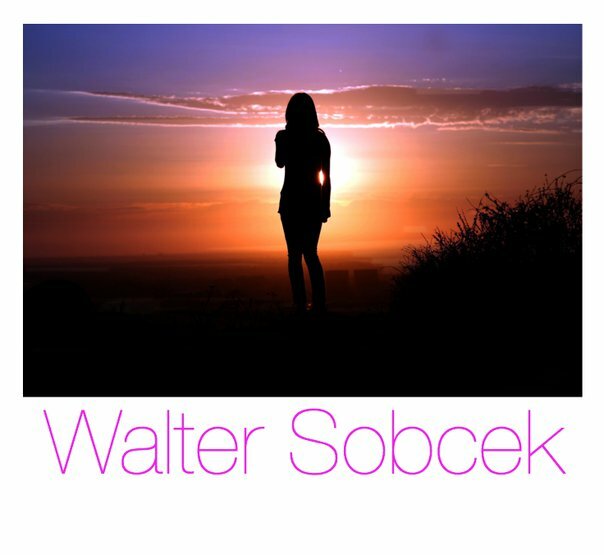 Last year we posted the good-old-fashioned 80s Hi-NRG "Die On The Dancefloor" and now he's back with this 70s-80s-disco-funky-bassline track "Out Of My Mind". It's not strange that there's been a hype around this English bloke. The new single consist remixes of The Swiss and Star Slinger and it's available very soon at Beatport. Stumbled upon this mixtape this beautiful Stockholm morning and just wanted to share it with the rest of the world. For those who always will love the 80s this is the mixtape for you. 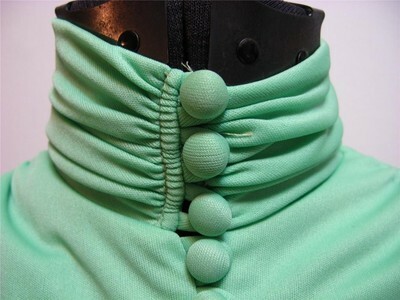 DjZoloft from the Netherlands has made this fine mixtape with 80s club hits. Pure love! 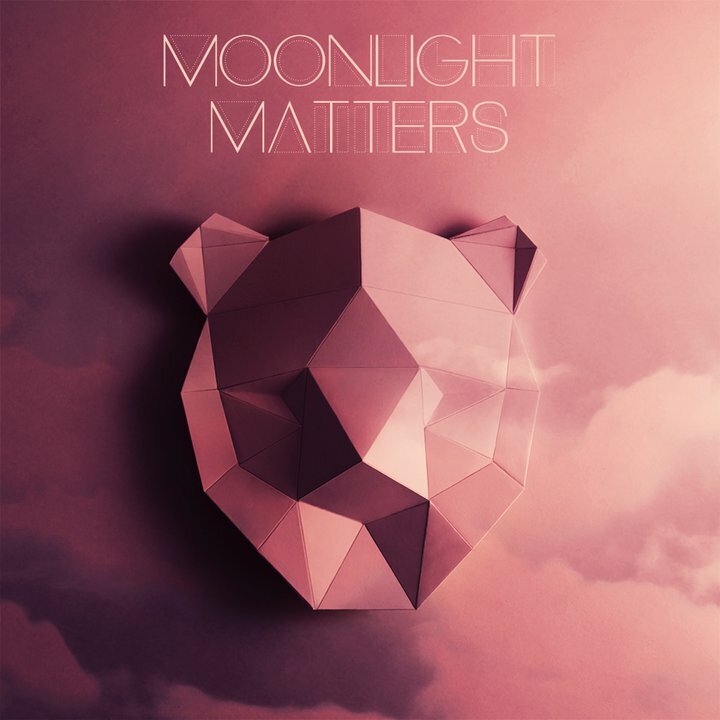 So, getting home from a night out yesterday, I got this awesome remix from ex-Villain Moonlight Matters of Clare Maguire's great song "The Last Dance". I really like the b-boy feel to it, and it's sure to make your Friday Friday fun, fun fun! Yeah, so that Fare Soldi remix of "Sloppy Chic" was part of a brand new remix package also including two remixes of the b-side "Your Life". That part didn't our link from the Italians say, so let's just say Justin was impressed when we had a post up at about the same time we got the mail about it from him... I guess that's what happens when the turtle tries to act a rabbit. Anyway the other two remixes are very different despite being of the same song. Whereas the Italo Brutalo remix is a slick italo piece, Super Mal's version is a banging party house track. Both are top notch though. 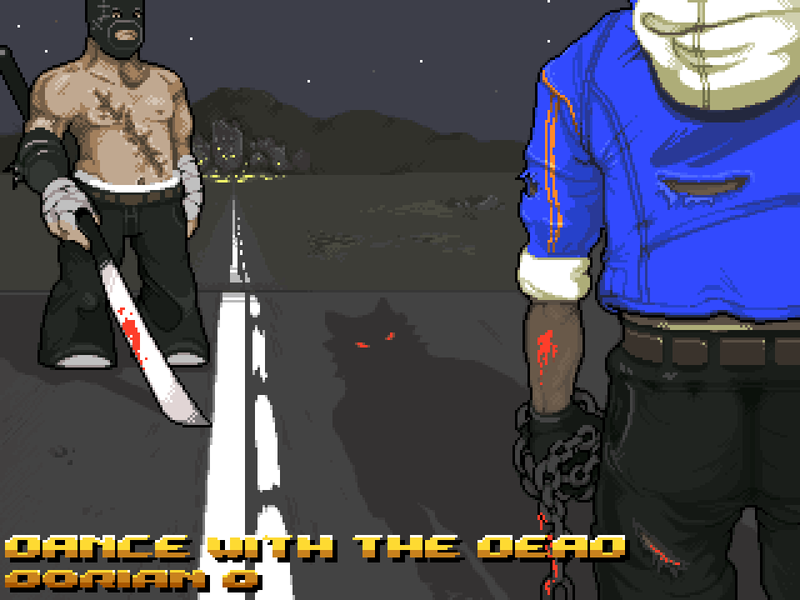 What better way to celebrate the end of our small technical problems than a collab between two of our favourite acts? 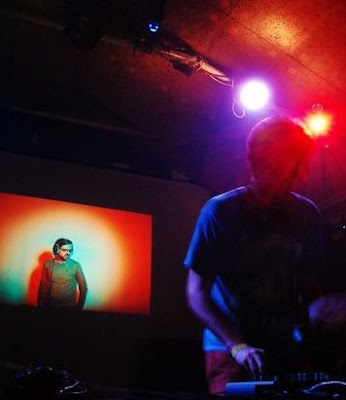 Justin Faust's "Sloppy Chic" was released last November on roXour including, apart from the awesome original, an awesome Bestrack remix (that we posted back then) and the track "Your Life". 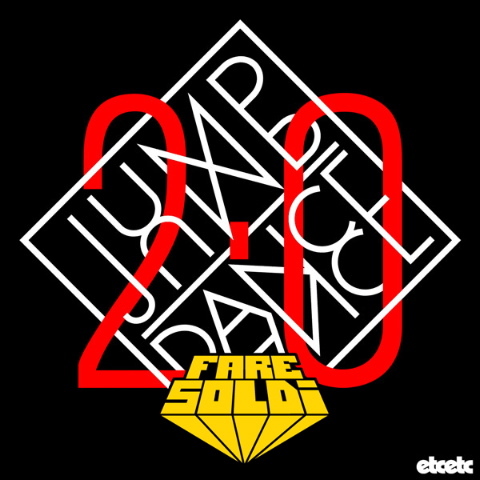 Now we got a percussive disco dance fest of a remix from Fare Soldi, that I just had to toss up here asap. Pick up the original release at Beatport or iTunes. Dreamtrak's latest project has been for London artist Queen of Hearts, who he has done some production and co-writing for. 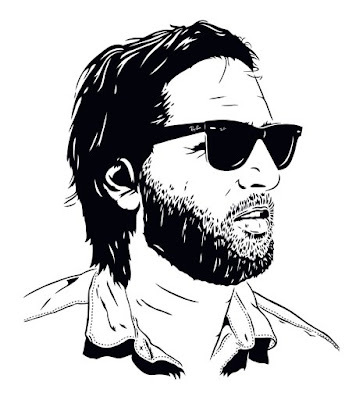 First single off the bat is one of his productions, who he also has remixed himself. This work hasn't kept him from making awesome remixes though, and for that we're thankful. It was a while ago we posted some Walter Sobcek. The French-German duo have just made two great remixes of Chilly Gonzales and French duo You!, and sent over this mixtape to get us in a good weekend mood. This will be the last post for today, but I just have to make this one, otherwise I wont be able to sleep properly. 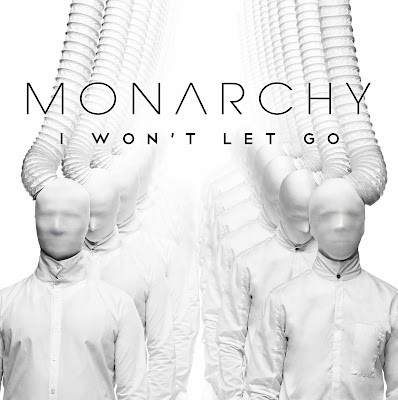 Monarchy, one of my absolute favourites the last year, that also show in all the posts we've made about them, are back with a new single "I Won't Let Go" featuring Rokhsan. It will be released April 11 via Moda Music with remixes of Bag Raiders, Mustang and Sam Tiba. I can also reveal a little secret, we got something going on with Bag Raiders for all our Stockholm fans...we'll keep you posted. We're hoping for more stuff coming from the Alps soon, and if it will sound as promising as the this clip from "Killer" we're gonna be happy zombies up here in Sweden. Beaumont remixes RÜFÜS and Futurecop! Wow, our Aussie fave Beaumont is back. And how he's back then, his latest remix of countrymen RÜFÜS is totally out there. This one is one for the floors. It's a beat driven powerful remix. The RÜFÜS guys must be real happy with this one. And we got it for you in 320 kbps, download and play it everywhere! Another excellent remix is of Futurecop! 's "Forever Dreams" included on the album "It's Forever Kids". A classic Beaumont remix already! 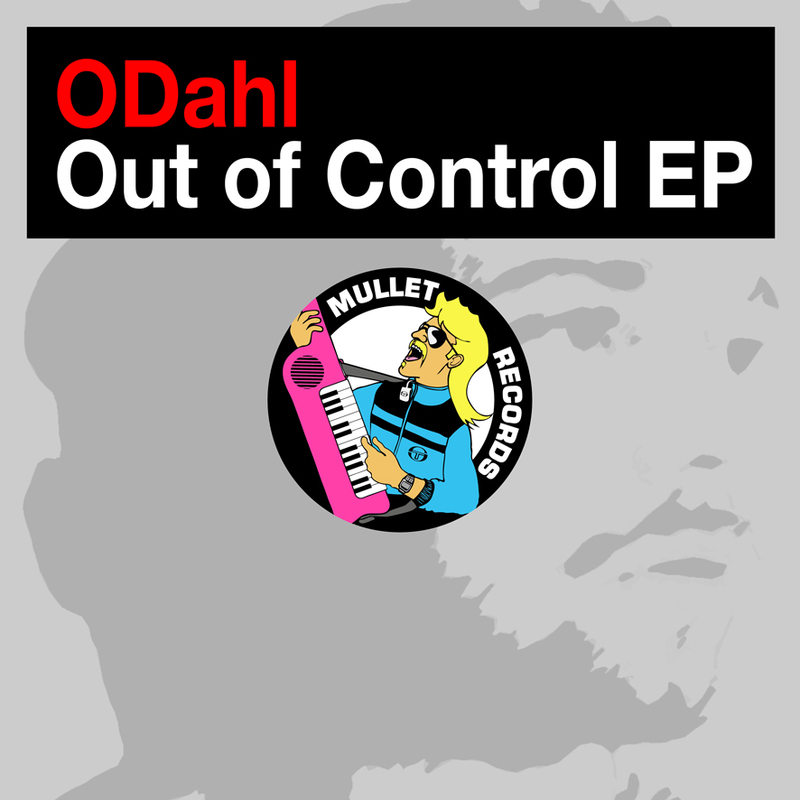 So, on Monday the 14th ODahl's new EP "Out Of Control" is out on Mullet Records exclusively through Juno with the worldwide release the week after. The EP includes two original tracks, plus a remix of each track by Justin Faust and Honom. Since you already know everything there is to know about ODahl and Justin Faust, I will only say that their tracks are just as good as you'd expect. Well, I can add that I like Justin's new and more funky sound with that growling bassline, and that we are looking forward to playing with him in Sopot, Poland on April 9. The guy who needs a short introduction might be Honom. Behind the name, which means "him" in Swedish, is Sebastian Uzieblo from Gothenburg, and he's a young man with a knack of making chilled out space disco. You should check out his single "Vanilla Street" as well as his "Cosmic Beach" EP on SpaceWalker, and keep an eye out for upcoming releases on Nu Indee and Club-a-club. Remember to pick up the copy on Monday on Juno. They're also a band with a mission; they want us to eat more ice-cream and make more love, which if you do it right should leave you with the exact same weight as before. The remixes by Lifelike and Gooseflesh are good, but it's the original and the soundbites from the video that will make you want more. 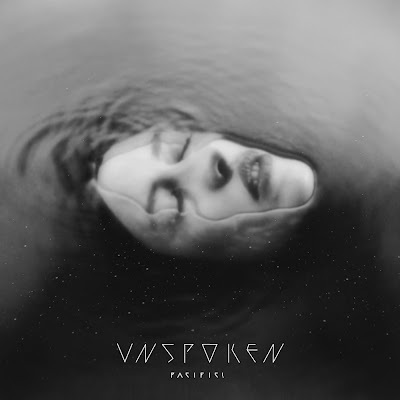 One of the most important acts of the successful indie-electro-synth-pop scene in Gothenburg on the Swedish west coast is Pacific!. Signed to Alan Braxe's Vulture label, they are set to release the next single called "Unspoken" from their album/alt pop ballet "Narcissus" on April 18. "Unspoken" features the delicate vocals of Swedish indie princess El Perro Del Mar and tells the story about Echo, who is rejected by the vain Narcissus. Pining for him, but with her love unanswered, she is slowly whithering away until only her voice is left. The album was actually written with a live performance to accompany a modern ballet in mind, and the whole opera was premiered last year in Gothenburg. The single will include remixes by Santiago & Bushido, Moonlight Matters, Alex Gopher & Pierrick Devin and Anoraak. Even though the Moonlight Matters remix is his usual perfect disco, we chose to post the Anoraak remix, which in true Anoraak fashion starts off pretty slow and then just builds and builds. Brooklyn's Treasure Fingers just uploaded this bubbly remix of Avicii & Sebastien Drums' "My Feelings For You", and I like it. Then again, it's hard to fail with such a great original. And by original I mean of course Cassius' 1999 single. Fan Treasure Fingers on Facebook! Our favourite Paul has changed his sound recently; from the 80s flavoured Hi-NRG/Italo style of his early productions to more full-on house in tunes like "Viva The Last Days Of Disco", "More Than A Feelin'" or "Together Again". That's pretty interesting since there are guys like Grum who have moved to the "Nu-Hi-NRG" (from trash-electro in his case). 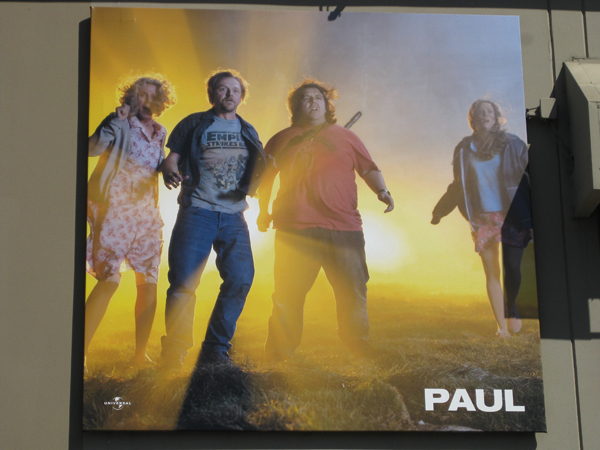 And while I love the early Paul stuff, I like where he's going now: back to his roots in 90s house. After all, he's a child of the 90s and not the 80s, as he writes in his email. Straight out of Oxford this fine bloke come, his name is Chad Valley, or actually his real name is Hugo Manuel and he's also a part of the Oxford band Jonquil. 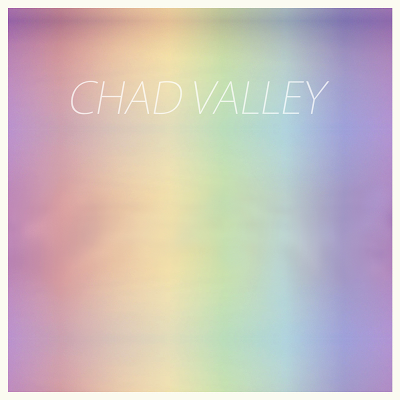 I discovered Chad Valley via cool Paris-based label of Maman Records when we were discussing things about the nice pop-duo Kisses. They're on the same label you see. Chad Valley make these fine melodies that just keep you hooked, smooth 80s influenced dream pop for today. Wonderful music for your wonderful ears!